Michael Winter is the author of the novels This All Happened, The Big Why, The Architects are Here, The Death of Donna Whalen, and Minister Without Portfolio, as well as three short story collections. Michael will be presenting his first work of non-fiction, Into the Blizzard: Walking the Fields of the Newfoundland Dead, in Thunder Bay at the International Festival of Authors on November 6th. 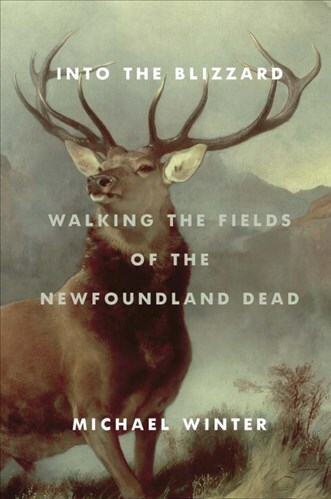 Shauna Kosoris: Into the Blizzard: Walking the Fields of the Newfoundland Dead is your first work of non-fiction. What inspired you to write it? Michael Winter: The idea that I could write about an old war in a new way. To remove all the militaristic bombast and illuminate the vulnerability of what life as a soldier or a nurse might have been like. I’m fed up with the glorification of war, its ability to sneak itself in to our modern lives as though it were merely a more heightened form of sport. It is not sport. It is death. SK: Why did you decide to physically follow in the dead’s footsteps? MW: I’m not a good researcher. But I’m good at describing what I see. And there are plenty of very good, well-researched books that are currently in print about what happened during World War One. Battle narratives, is what I mean. But there are few books telling us what it feels like to walk across land where an old war occurred – the modern experience of walking into a museum or reading a plaque. My talents are limited, but I thought I could tackle that. SK: Into the Blizzard isn’t the first book you’ve written about World War 1. Why does that time in history fascinate you? MW: I’ve stumbled upon characters who happened to live a hundred years ago that I connect with. You can’t write about these people without mentioning that they also happened to live through a major war. As you get older you tend to think about where you’ve come from. There’s a rise, I think, in the interest in family ancestry. I get some reassurance that it’s okay for me to feel the way I feel when I discover that someone a hundred years ago had the same thoughts, the same joys of living, the same troubles, as I’m experiencing. SK: Your other novels, particularly The Big Why and The Death of Donna Whalen, are also very grounded in history. Did you ever consider making them works of nonfiction as well? MW: Yes. In fact, I don’t really think about genre when I’m writing. I just write the book I want to write and my publisher usually tells me whether it’s fiction or non-fiction. SK: That’s fair enough. Thinking of your other books, I’ve read that Gabriel English, the narrator of This All Happened and The Architects Are Here, is your fiction alter ego. Where did he come from? MW: That is too simplistic a comparison. But “Madame Bovary, c’est moi” is something I don’t disinherit. With first person narration you have to be careful that the reader doesn’t smell an agenda: the agenda of “dear reader, look at my burden”. The reader doesn’t care about the author’s burden. They want to feel like a writer is being fair to his protagonist, and that means portraying bad qualities as well as the good. And so, I raid my own experience. SK: Your books have focussed on more contemporary history, from WW1 to Afghanistan. Do you think you’ll ever write something set further in the past? MW: No, but I might write something set further into the future. 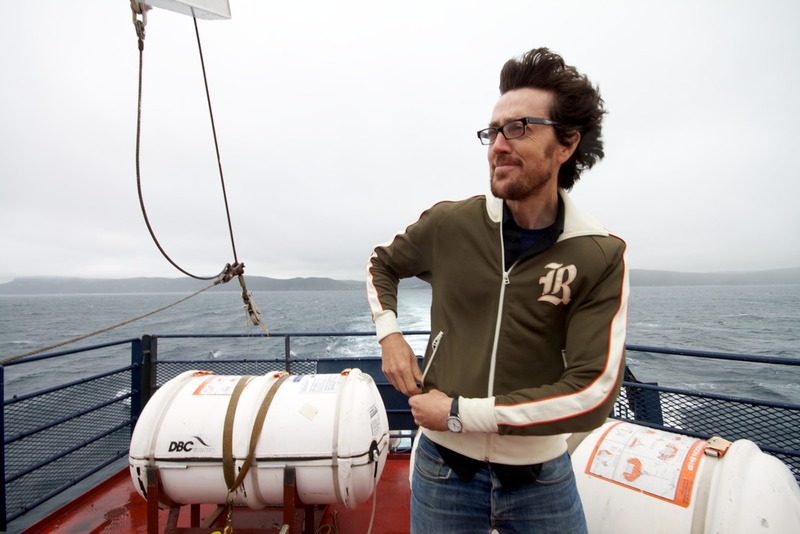 SK: What are you working on now that you’re finished Into the Blizzard? MW: I’m reading a lot. And writing some scenarios. I’m not joking about the future idea. I wouldn’t mind trying that. I’m trying to figure out Mary Shelley’s Frankenstein and Ray Bradbury’s stories. Having a son that I tell stories to has made me remember that I’m good at making things up, and so fantasy holds some kind of allure. SK: I look forward to reading some future fantasy stories from you! Finally, I have a few questions about what you like to read. What book or author inspired you to write? MW: It might have been the lack of books and authors. I remember as a kid staring hard at an illustrated book of rocks. It was a geology book, I guess. And I remember thinking surely a book can be more entertaining than this. MW: No. You should read widely and find things you love and then figure out why you love them. I’m opposed to this opinion that your life is not complete if you haven’t read Dante. I’ve tried reading Dante, and I’m not going to shame myself any longer for not enjoying him. The Illiad, impossible. But I do love Christopher Logue’s version of the Illiad. As well as Alice Oswald’s Memorial. SK: What are you currently reading? MW: Walter Tevis’s The Man Who Fell to Earth.